I've never written an anthem before, much less a marching one! 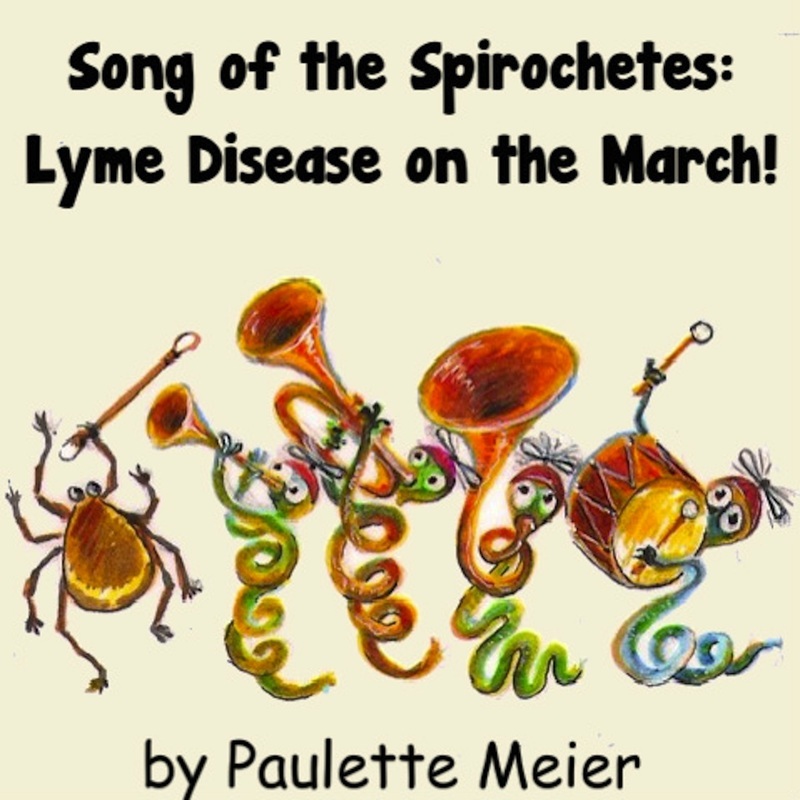 But after 9 years of dealing with a chronic illness stemming from the effects of one tick bite, I decided to write a song about the amazingly resilient bacteria that causes it. The triumphal melody came without my even thinking about it, as did the words -- spoken from the perspective of the bacteria. I'd venture to guess that the song is unique for that reason alone! This is my attempt to get the word about this under diagnosed, often devastating illness. Lyme Disease is the fastest growing vector borne disease in the country, and the EPA now uses its spread as an indicator of global warming. Although the CDC now says there are over 300,000 new cases every year, those who understand how under-diagnosed it is say it is much, much higher than that. In fact, most people who have the disease do not know they have it. It is sometimes called "The Great Mimic Disease" because the bacteria create symptoms that can look like any number of ailments - e.g., arthritis, multiple sclerosis, Lou Gehrig's Disease, Krohn's Disease, etc. The blood tests are terribly inadequate, and even if you're lucky enough to have the test show positive, you're likely not going to be able to have it treated adequately unless you find a doctor who is willing to buck the entrenched medical establishment. To learn more, please visit www.lymedisease.org! Please click here to download this song and help spread the word!